Dr. Daniel Fein earned a BS in Biology from the Massachusetts Institute of Technology and earned his MD at the Albert Einstein College of Medicine. Dr. Fein completed his pediatric residency and pediatric chief residency at The Children's Hospital at Montefiore/Albert Einstein College of Medicine. He completed his fellowship training in Pediatric Emergency Medicine at The Children’s Hospital at Montefiore/Albert Einstein College of Medicine. During his fellowship, Dr. Fein was awarded the Outstanding House Officer Award by the Montefiore Staff and Alumni Association. 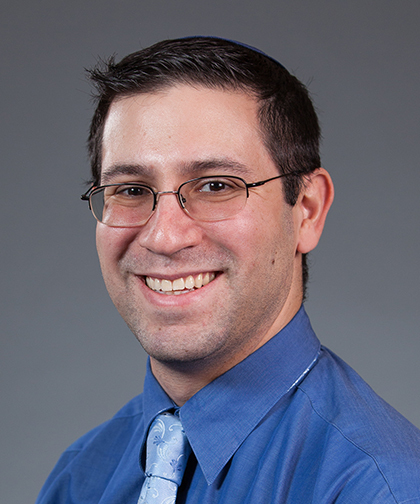 Dr. Fein joined the Department of Pediatrics at the Children’s Hospital at Montefiore in 2013 and is currently an Assistant Professor of Pediatrics at the Albert Einstein College of Medicine and an attending physician in the division of Pediatric Emergency Medicine. He is a member of the INSPIRE network (International Network for Simulation-based Pediatric Innovation, Research and Education) serving as the site director at Montefiore for studies involving a novel simulation process to improve infant lumbar puncture success rates by new trainees. He is also leading an FDA approved clinical trial looking at the use of intranasal Fentanyl for initial treatment of a vaso-occlusive crisis in children with sickle cell disease. Dr. Fein has served on the national committee for developing the descriptions of Entrustable Professional Activities that will help guide the education of future trainees in Pediatric Emergency Medicine. He has authored multiple articles in peer-reviewed journals. His specific interests are pain control in the Emergency Department and medical student/resident education.